For over a decade the Realtors at The Lore Group of Royal LePage True North Realty has been dedicated to our work in the Fort McMurray Real Estate market. Our team prides itself on being hard-working and flexible, valuing above and beyond client service and communication in every area of the Fort McMurray real estate business from residential homes and condominiums to our work with developers on commercial and industrial purchases. The Lore Group's primary goal is to not just finding you a home, but finding you the right Fort McMurray home that fits your life perfectly. Your home should be a reflection of you: your personal style, your individual taste, and your chosen lifestyle. Whether you've lived here your entire life or are considering relocating to Fort McMurray for the first time, our Fort McMurray Realors will make you feel like you are our only client. Our care and attention to detail is driven by a desire to create a positive home buying and selling experience for each and every client. We have developed a detailed, strategic marketing plan specifically designed to market your home. We start by setting the optimum price for the current Fort McMurray real estate market during our Free Home Evaluation, then market and show your home at its best. For home buyers we've created a comprehensive buyer checklist designed to pinpoint your exact needs to streamline the house-hunting process. We'll show you only the homes that are best suited your needs, wants and lifestyle. The Lore Project Marketing Group is known throughout the Alberta oil sands region as experts in Fort McMurray commercial real estate and industrial land sale and purchase. We have a history of successful projects behind us including work with investment properties, new residential developments and condominium developments. Recently The Lore Group has been engaged to market one of the largest parcels of Crown Land ever to be released for sale by the Government of Alberta not designated for oil sands exploration and production. Our Fort McMurray Real Estate Brokers work closely with developers during every step from project valuation through the completion and sale of each unit. Our experience working with large developments within the Fort McMurray market enables us to provide valuable insight on critical decisions, and our access to qualified investors, Fort McMurray homebuyers and relocation companies has proven to be an invaluable asset. 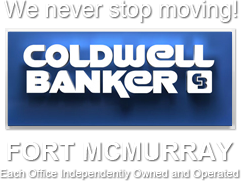 To us, Fort McMurray Real Estate is not just a science, it's an art we have perfected a thousand times over our ten years of experience. Whether you're a developer, investor, home buyer or seller, contact The Lore Group today and let us show you how we can work for you.